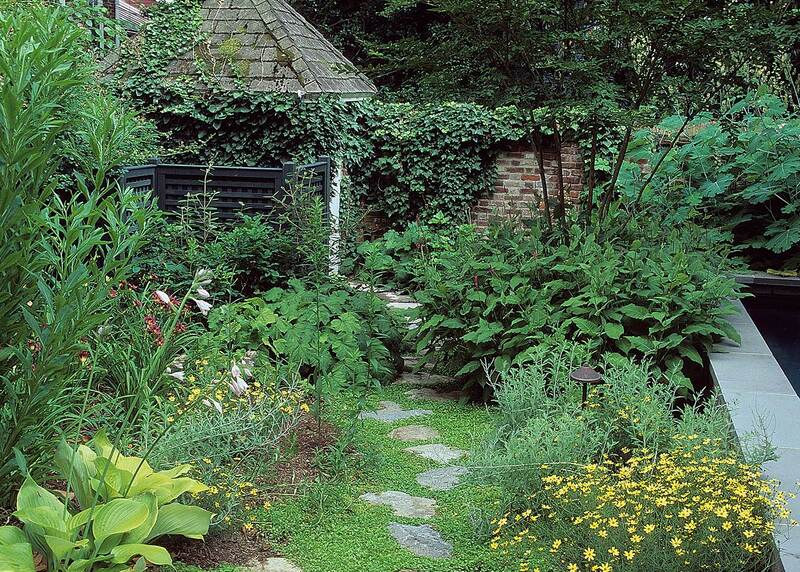 Creating gardens for residents of the historic Washington, DC, neighborhood of Georgetown has long been an OvS specialty. 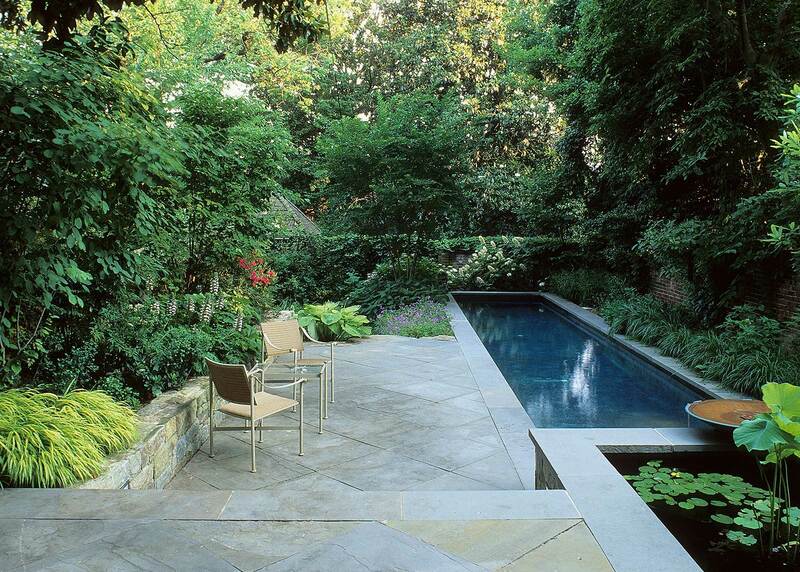 Water is the defining feature of this garden on N Street NW. 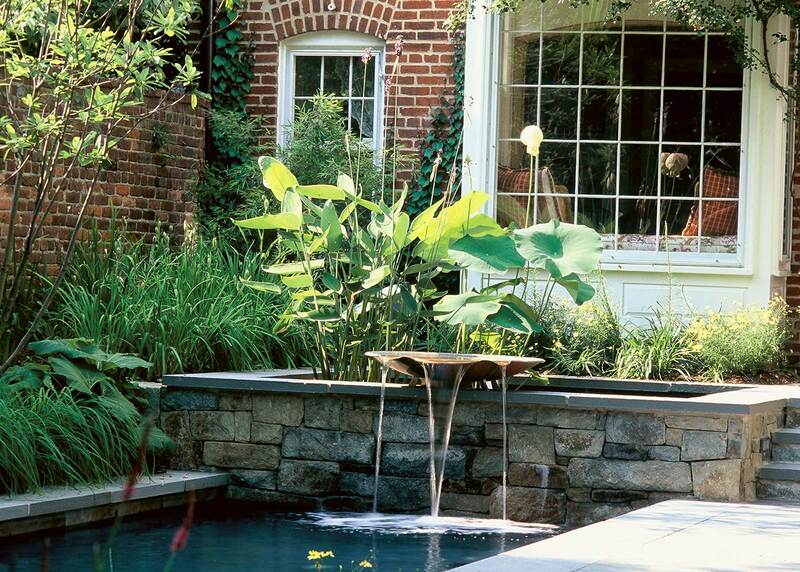 With less than 1500 square feet of space to design, a raised lily pond and 45-foot lap pool make up a third of the entire garden. 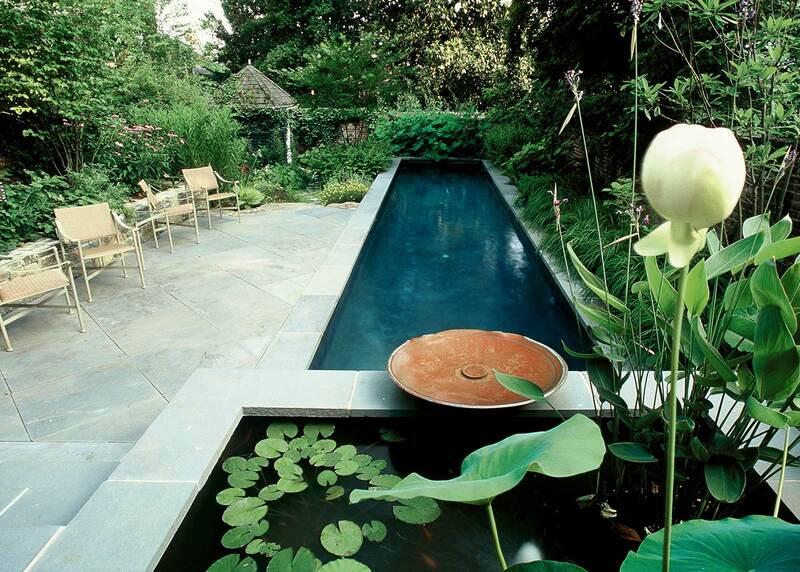 The pool is connected to the lily pond by a copper bowl that re-circulates pool water, giving the illusion of water flowing from pond to pool. 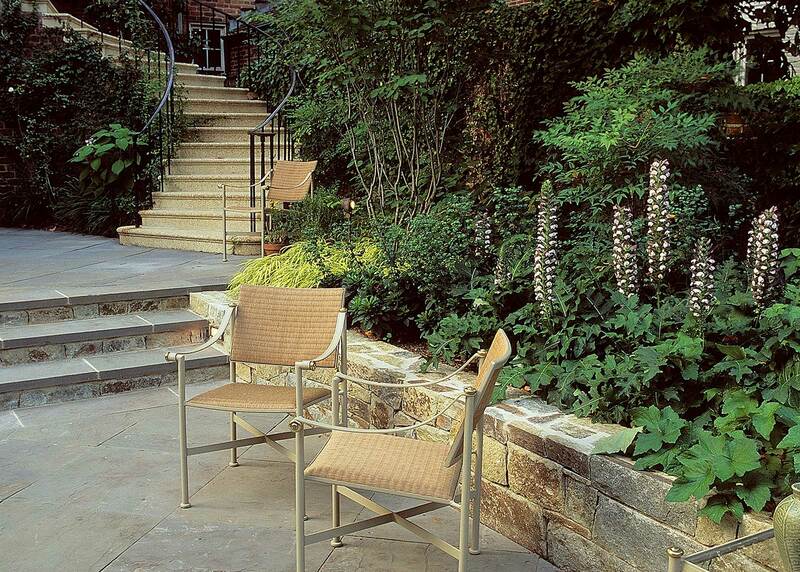 Every detail of a small garden must withstand close scrutiny. 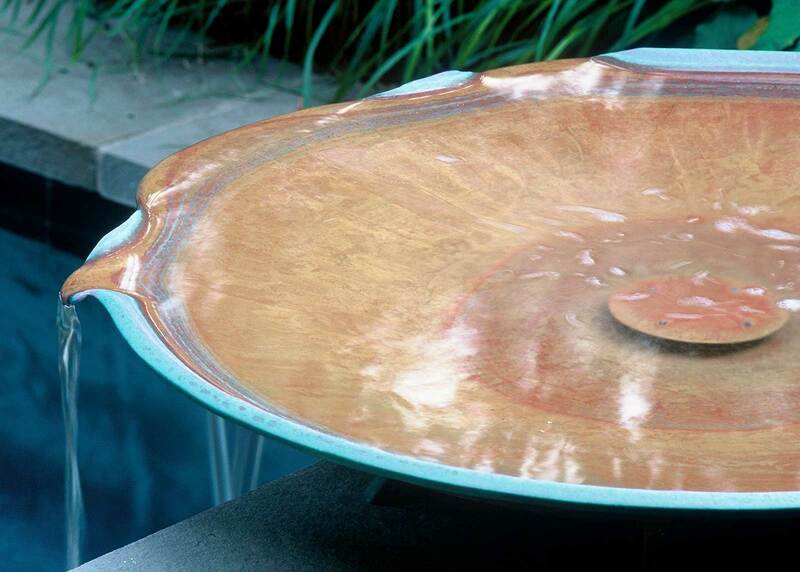 In this case, the fine craftsmanship of the sculptural fountain provides additional visual pleasure. 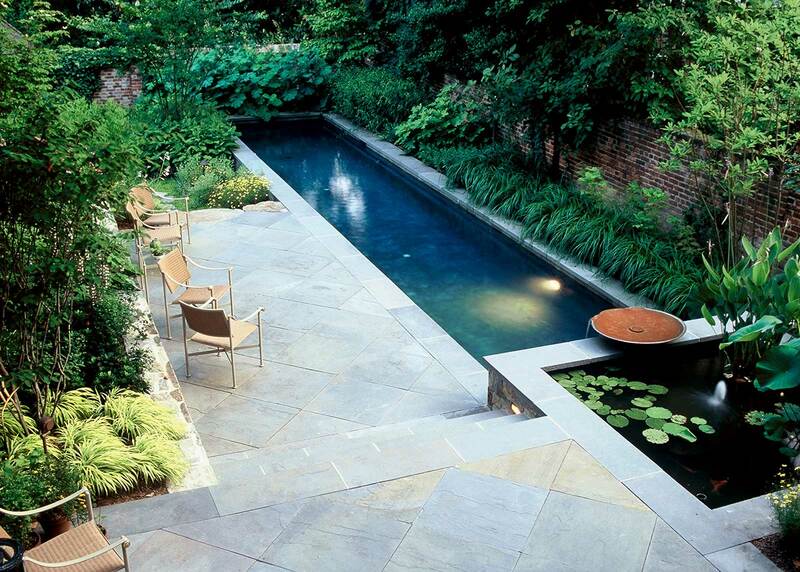 A multi-level Pennsylvania bluestone terrace balances the water features. Clusters of Hakonechola macra ‘Aureola’; Bear’s-breeches; and Hardy Canna enhance the view from the house. A garden shed in the far corner of the garden was retained, creating an illusion of distant space in this small setting.